After recent blue skies and cold clear nights across Sussex it’s back to cloud and rain tomorrow and into the weekend. From early morning tomorrow (Wednesday October 21) the wind changes from north-west to the west, bringing plenty of rain. 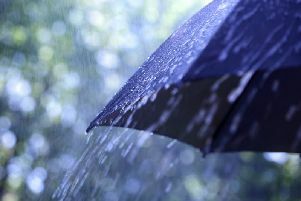 The Met Office forecast is for a mix of light and heavy showers for the rest of the day. The sun may make a brief appearance on Thursday afternoon but it will go back to being overcast for Friday and Saturday is set to have more rain. Temperatures are forecast to stay in the low teens, falling to 9 or 10degC at night.